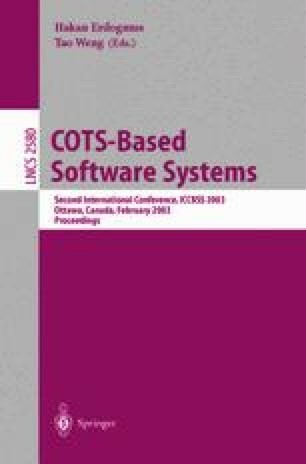 This paper describes enhancements being made to the University of Southern California’s COnstructive COTS (COCOTS) integration cost model to address security concerns. The paper starts by summarizing the actions we have taken to enhance COCOMO II to model the impact of security on development effort and duration. It then relates the COCOMO II approach to the COCOTS estimating framework so that the enhancements proposed can be incorporated into the COCOTS model. After summarizing the team’s progress in developing counterpart COCOTS security cost drivers and expert-consensus cost driver parameter values, the paper points to the steps that will be taken to validate the findings and calibrate the model.